FOUNDATION is Rotary’s own charity worldwide. 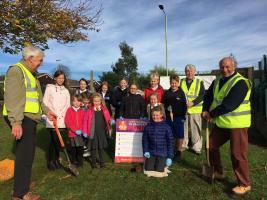 Grange Primary School pupils planted crocus bulbs at their school. We use purple crocuses - the colour of EndPolioNow - to draw attention to the campaign.